A long-simmering controversy will come to a boil Saturday, as families of 10 patients at St. Luke’s subacute skilled-nursing facility have moved to halt the patients’ scheduled transfers. This comes nine months after hospital staff issued a memo stating that the patients at the skilled nursing facility would be moved to a new facility at the California Pacific Medical Center Davies campus near Duboce Triangle. But the families say that the hospital has not done enough to mitigate transfer trauma and hire adequate staff. Rivera’s sister, Sandra, has been at St. Luke’s for eight years. She suffers from developmental issues and depends on a tracheostomy to breathe correctly — a procedure that requires constant care. Raquel Rivera said that the hospital has not done enough to address concerns she and others have about the transfer and the new facilities. Tony Chicotel, a staff attorney at the California Advocates for Nursing Home Reform, representing the families, said appeals are scheduled to be argued before a hearing officer next week — but because every patient has to have his or her own hearing, the process could drag on for weeks. “We’re not making the case they shouldn’t be discharged. The goal is to make the discharge as safe as possible. But the evidence suggests the hospital has not done all it can to reduce transfer trauma,” Chicotel said. 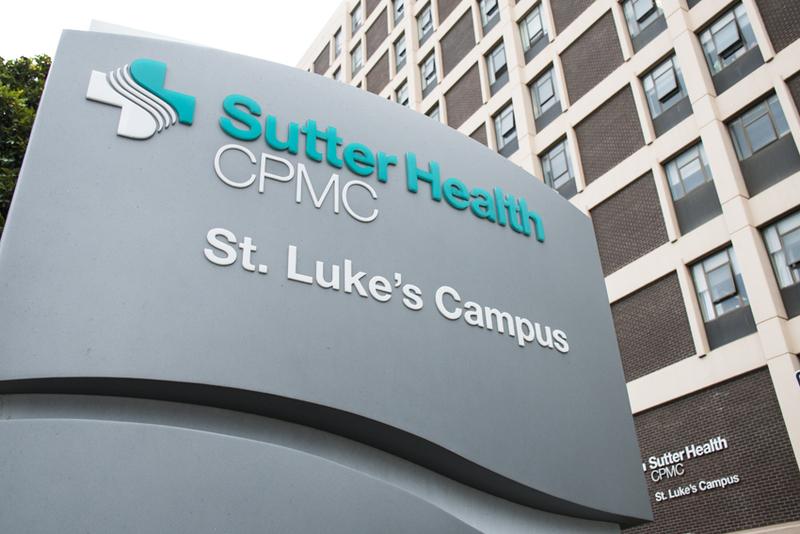 He added that he has not seen much effort from CPMC, which is owned by Sutter Health, to ensure the patients have had their needs met. Particularly concerning, he said, was the lack of effort to maintain the skill and knowledge levels on the new facility staff. Chicotel confirmed he received an email from the hospital affirming that none of his clients would be moved pending the appeals. St. Luke’s Hospital announced plans to close the skilled nursing facility by Oct. 31 of last year, but pushed that date to this year. The patients in this unit require constant care and would not survive without assistance. As a result, the remaining patients in the subacute skilled nursing facility were slated to be moved out of county or spread across the state until public pressure forced the hospital to compromise. The unit will officially close after all of the patients are transferred out later this year. Dean Fryer, a spokesman for CPMC, confirmed the transfers of seven patients will be going forward tomorrow, but only a few of them would be taken to Davies* this Saturday. The patients that remain at St. Luke’s will have staff remaining on site to care for them, he pledged. “Whatever the results are from the appeals process, we’ll work with the families to find a place for the patients where they’ll receive quality care,” Fryer said. The hearings will be commence next week before the Department of Health Care services and Office of Administrative Hearings and Appeals. *Update: A previous version of this article said “only a few of them will be taken to Davies.” This post was edited to clarify that all patients will eventually be taken to CPMC Davies, but only a few were taken on June 30.